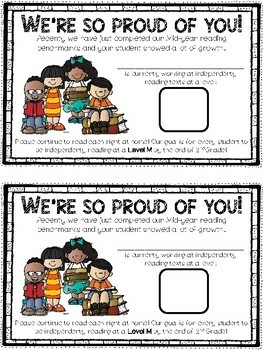 I am always looking for more ways to communicate with families about the progress of their student! 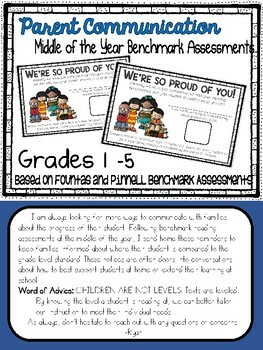 Following benchmark reading assessments at the middle of the year, I send home these reminders to keep families informed about where their student is compared to the grade level standard! These notices are often doors into conversations about how to best support students at home or extend their learning at school! Word of Advice: CHILDREN ARE NOT LEVELS! Texts are leveled. By knowing the level a student is reading at, we can better tailor our instruction to meet their individual needs!